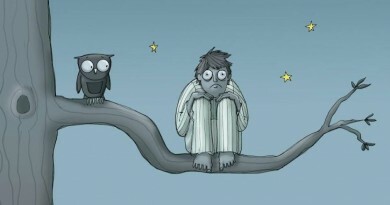 A long time ago I wanted to go somewhere, far away from the noise in my town, on a peaceful and quiet place. My wish became true this past weekend. I had a wonderful opportunity to stay in a hotel located near an artificial lake, surrounded by mountains. This weekend was truly refreshing for my thoughts and my soul. The second day, I decided to wake up earlier and to go down to the lake, to enjoy the sun and the beautiful view. The whole nature around me was divine. Everything was perfect. I was sitting on a rock and thinking how wonderful life is when spring comes. Several times I took a deep breath and I exhaled relaxing. The nature in April, during the spring time, is so fascinating. It reminded me on one important thing for our lives – the transformation. I was thinking … How this nature looked like during the winter? Everything looked so lifeless. Sunny days were rare. The whole nature was painted in brown and gray. Our world looked like a faded picture of life. Many times we were trying to find the joy in the winter days too. We waited for snow and the holidays. But, when the snow melted and the holidays were gone, we were back to the reality, with the same deep desire for the spring. 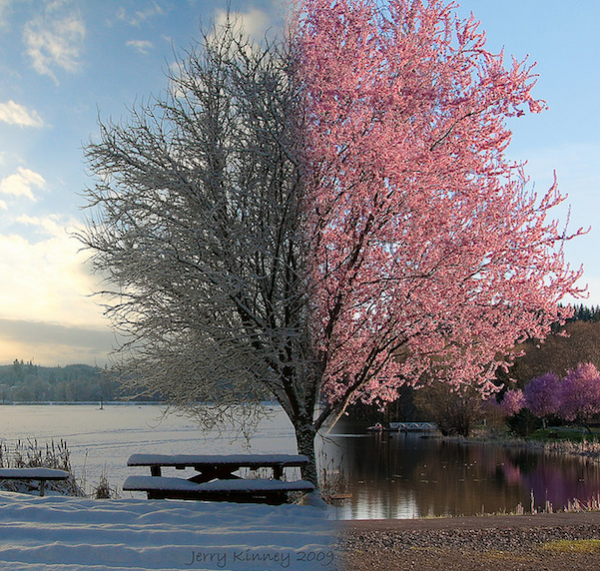 When the spring started, the whole nature experienced a transformation. The grass and the trees are green, the weather is warm, flowers are everywhere… and life looks so much better. That spring transformation leaves me speechless. Nothing is the same. Everything looks so amazing. The world isn’t a faded picture anymore. The world became a picture painted with the most beautiful colors. 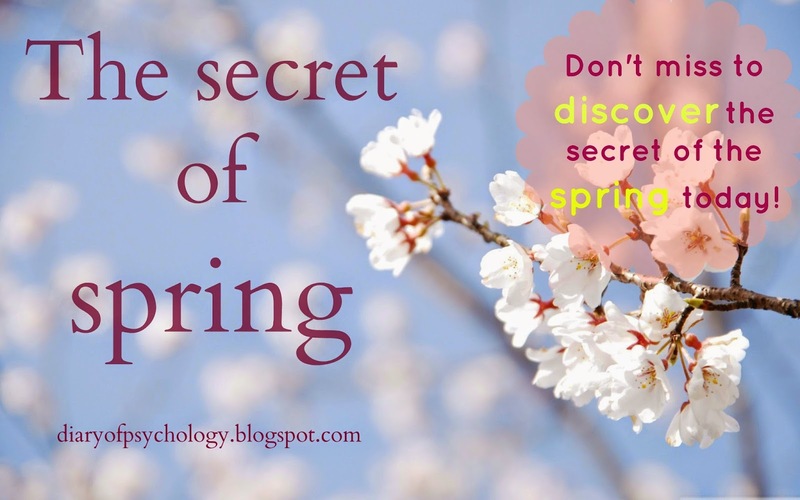 Yes, that is the secret of the spring. The tranformation. If we stop for a moment to think about this process, we will realize that there are many similarities between the transformation in the external world and the transformation in our lives, in our internal world. 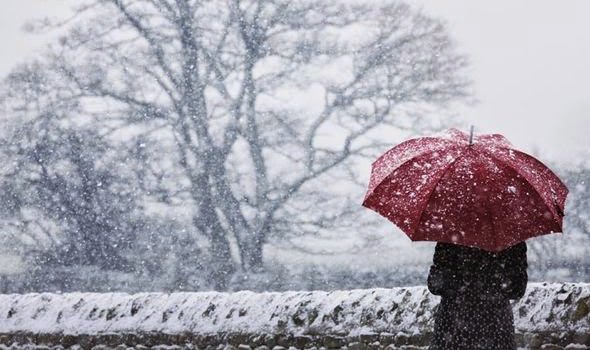 Many times in your life you probably think: “Every day of my life looks like the nature and the weather in winter. My days look so gray and depressed. I know that maybe someday the spring will come in my life, but that looks so impossible and far away from me.” Or maybe you think: “I have too many problems in my life. I can’t handle this life anymore”. Yes, but we all have problems. We all have felt disappointed, rejected, forgotten, used or lost in our problems. Can we experience that transformation in our lives like the nature does? 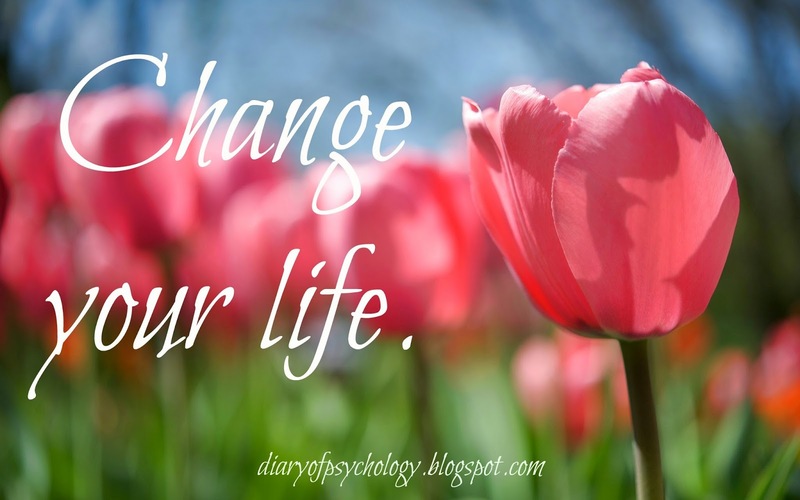 Yes, because you still have the power to change yourself and your life in your hands. You can decide that you don’t want to live your life like that anymore. Stop pitying yourself and try once again. Believe that spring can be the reality in your life too. Make a step, make a change and transform your life. Transform yourself: the way you thinking, the way you acting, the way you face and solve your problems. You can change many, many things, but only if you want. Let the spring to come into your life. The spring will bring you joy and relief from the rigors of this life. Then you will be able to enjoy the sun, the beautiful weather, the song of the birds and the beautiful colors – all the blessings in your life. If you think that you can’t start that life transformation alone, you can ask for help. Find some good therapist and learn something more about yourself, others and your life. We all deserve to live a better life. Don’t waste your your days only sitting and dreaming for better tomorrow. Now, when you know the secret of the spring, you can use it for your own good. Don’t forget that the power of the transformation is in your hands. You can change your life, starting form today. If you like this post, please share it with your friends and family. Thank you!